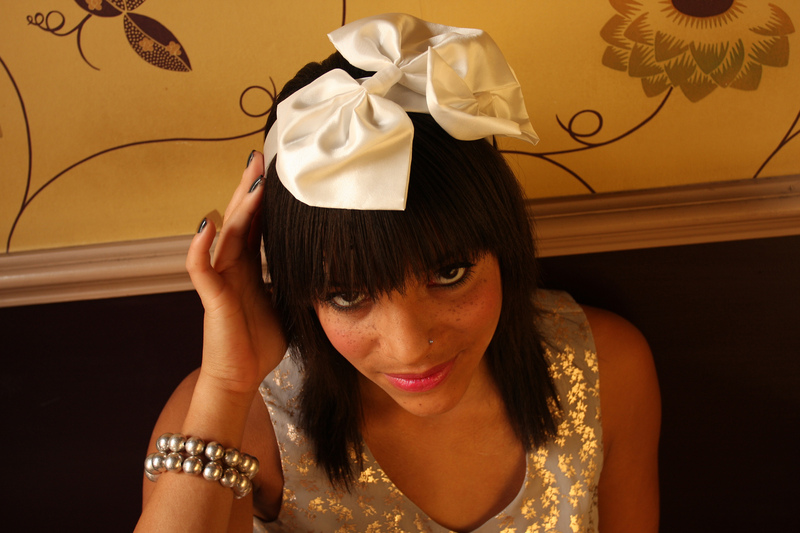 The recent Elsie Riley shoot, which took place at the oh-so-quirky warren that is Goldbrick House was so much fun. 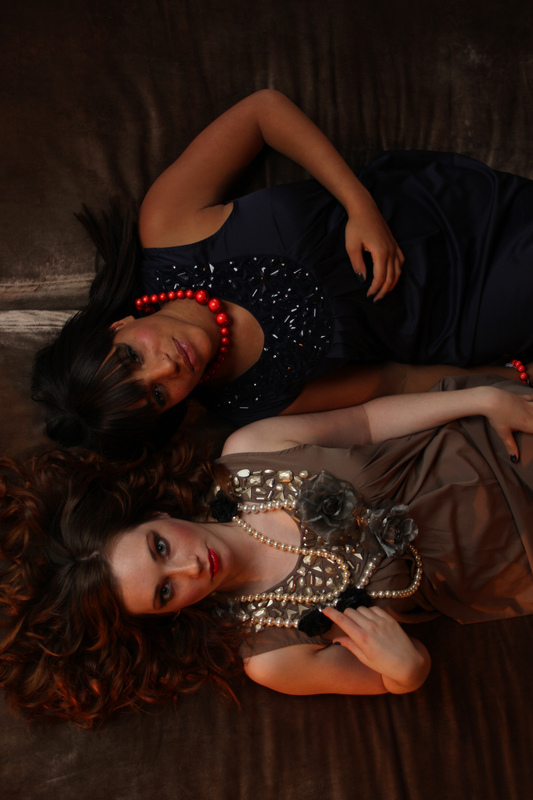 Our models, Laya and Rhea were just fab and as usual Elena, the snapper, turned it out! The inspiration was a dark and glamourous Alice in Wonderland vibe, so I made sure the hair and make-up was girly vintage glam. Here are a few pics from the day – which will be appearing on Elsie Riley’s site soon. Enjoy! Laya looking cute as a button! There’s nothing like a bit of humour in fashion, let’s face it, those designers can take themselves so seriously! So I have found some happy little bits and pieces from across the web guaranteed to make you look great, and make you feel fun! First up is the cute ‘Shipmate’ hoodie found on Lazy Oaf’s site – they are London based but sell online too. This top costs £44. Inject a touch of pierrot into your wardrobe with this ‘Super Size-me’ tee – £24 also from Lazy Oaf. If you head over to Fredflare (US based) you can grab one of these funky make-up bags based on the DC comics. I love the colours and think it would be a shame to hide it away in the bathroom ($8). Be warned – once you are on this site, it will be hard to not buy anything! It’s got so much great trashy stuff that you really don’t need but desperately want! Last up is the happy/sad sweater also from FredFlare.com – with a happy face one one side and a sad face on tuther! ($44) I think it’s the cat’s pjamas! A definite addition to my lust list – just found this beautiful ‘Claret’ brooch and I simply must have it! £45 from Radichi – a great little online shop selling all kinds of whimiscal bits and bobs . Ok, so I know i’m not a kid, but the rather swish ‘mobile home’ for children they sell on their site is so ace – I’m sure it will inspire a generation of ‘grand designers’ for a decrepid Kevin McCloud to pester! Still, I rather fancy one myself, with eight well-proportioned rooms and even an attic to store up all your brick-a-brack, at least in this market you can get a property at a snip – only £15 – how cool! First up is this gorgeous bike basket which comes in black and green and at a very reasonable £69.90 by Design House Stockholm. I think it is top and would rather fancy cycling about Bristol with this fancy pants basket on my wheels. Next up is the lovely matryoshka teatowel at the top of this post that I spotted on Not On The HightStreet.com – only £8 and if like me you think of such things as art, then you too can frame it (I did this with the ace Ferm Living bird in a cage tea towel in a recent post! As a fan of the old scandi design, my magpie eye quickly spotted this lovely and unique bread board by ISAK (£22) which would look splendid in my kitchen – there are lots of other pretty designs by the same company – well worth a look. Now these aren’t just pretty flowers, these are quirky pot rests by Verso Design and they are made of felt so you can save your worktops and keep up the style factor at the same time – £7.50 each. I totally have a penchant for monochrome and love bold prints, so I have been drooling over the latest edition on the Pedlars website – this gorgeous and striking oilcloth – it comes in stag or rabbit – fabulous! Sizes include 150cm, 200cm, 250cm, 300cm, 350cm (l) x 150cm and prices range from £32 – £72. While I am on the subject of taste, thanks to the lovely Rhea who has flagged up another excellent blog to add to the old blogroll: Kindom of Style – a most addictive daily read and one to definitely add to the favourites. …and silver and gold and jewels. Yup my new love is jewellery in all its forms – old, new, borrowed and any…um…colour I fancy. Emma Ferguson has totally nailed her own individual style – like the ‘I Heart Tea’ pendants and her lovely metallic leather feather necklace (another of my new acquisitions). You may recall a few weeks ago I was rattling on about Untamed Menagerie – a mother and daughter team based in the US who create exquisite designs using acrylic. 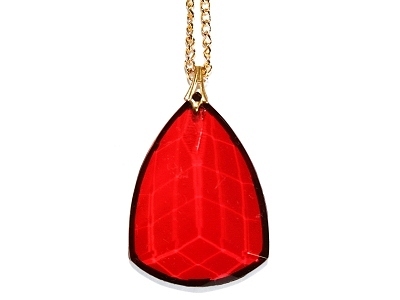 I recently purchased the divine “Whatever Lola Wants” necklace and have gone back for more… excellent price, excellent customer service and unique jewellery – what more could a fashionable, yet budget conscious gal want? Another fab find is Bonbi Forest – full of heavenly creations . They stock all sorts from tee-shirts to graf-illustration, but I have taken a particular liking to this ‘Little Shard’ necklace which is a very reasonable £28 and the extra lovely ‘Secret Garden’ piece by Lee May Foster which is a snip at £18. It hits this season’s nature and bird trend in one fowl (haha) swoop! I know a hair band isn’t strictly jewellery, (hey, it an accessory) but I adore this birdie version – now even nest hair can look cute! I also love the bird pin (I have a bit of a bird fetish, you might notice) and look at this beautiful flower brooch too. Nature-inspired accoutrements never looked so good!